on Thursday, 10th January 1935. Oil Company amd Mr.Mylles today. 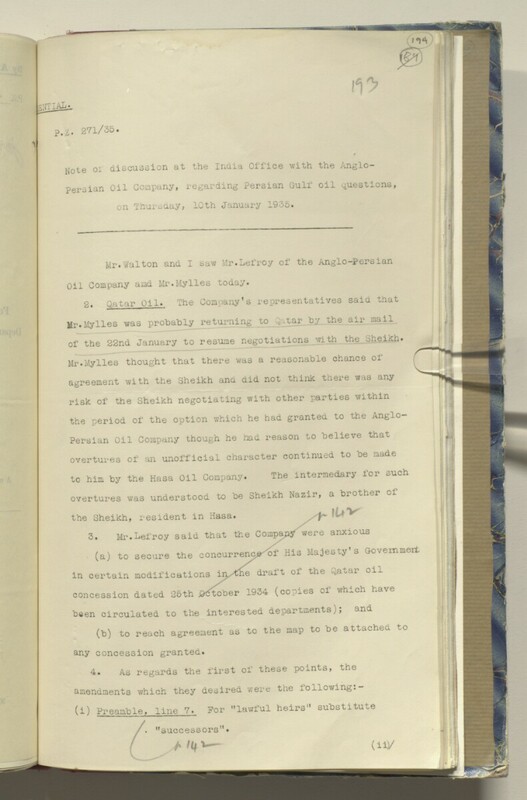 of the 22nd January to resume negotiations with the oheikh.